who on a daily basis put their lives on the line for our country and us. conversation turned to what could WE do to help? Now all we had to do was give up some time and make it happen. former drummer with The Small Faces, The Who and now The Jones Gang. Gaucho Grill providing a delicious barbecue lunch. Masterchefs Dhruv Baker and Andrew Kojima. Games, took over in the kitchen. 2014’s event relocated to our new fantastic venue, Fifield Polo Club, with a sumptuous Argentinean Asado. 2015 followed suit and it was a great pleasure to watch The Battleback Heroes, our team of injured service men and women, win their match. 2016 saw the event growing nicely and the launch of Heroes Ride 4 Recovery, India 2017. 2017 Despite the rain the event went ahead as planned and a fantastic time was had by all! Heroes Ride 4 Recovery took place in October,see how it went below. 2018 from one extreme to another….. one of the hottest days of the year and some very exciting polo! 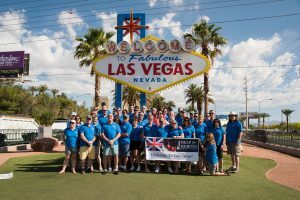 for a trip of a lifetime to Las Vegas! after they have served and sacrificed for their country. gun salute. We even made it onto Colorado Breakfast TV! admiration and they will always have these memories to look back on. We soon came to realise that the benefit the soldiers received from the trip surpassed all our hopes. 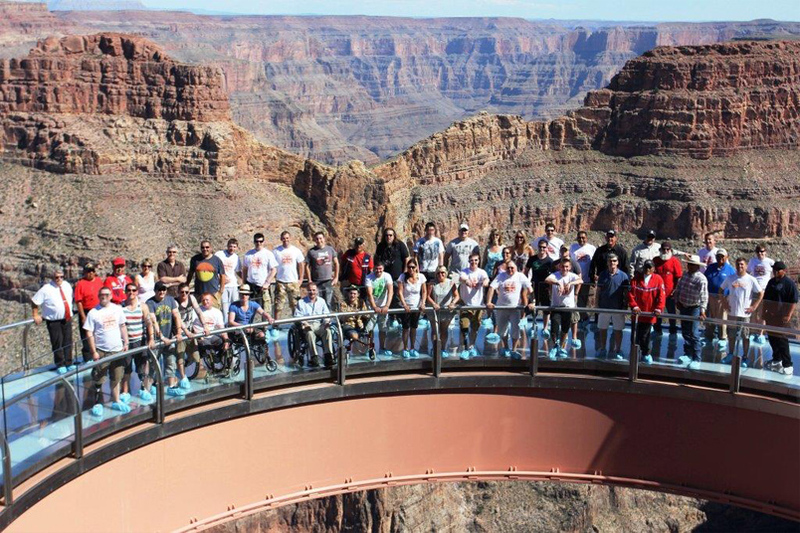 the Grand Canyon on the Skywalk. The Classic Car Club turned out to take the guys cruising down The Strip before visiting the rides 1,150ft up on top of the Stratosphere! Dean Martin entertained at the gala dinner. able to push on and do things on my own and feel comfortable that I can. each and every one of the people on the trip. The journey for me has been a long road with dark times along the way. Las Vegas has opened my eyes again. It was great to be among other veterans and those who had helped, talking to them and enjoying the friendship and hospitality. Las Vegas gave me the chance to be me again, the downtime I needed to focus on my life and realise all the good things I have in it, my wife and my children. When you have PTSD you feel you’re alone and no one will understand how alone and detached you feel from being happy, as well the invasive dreams that take you back to Iraq and Afghanistan. To be able to talk to other veterans meant a lot. All the fantastic events and the schedule were amazing, although I did miss a couple of them, time to reflect was also exceptionally useful and can’t be under estimated. Part of my soul returned. For the friends made, the experiences gained, Heroes for Freedom, the understanding was nothing short of humbling and for that I am forever grateful. I do hope to meet all again in the not too distant future and help in any way I can. The Las Vegas trip was fantastic with emotional moments for all. I, luckily have just sustained physical injuries, however there was a myriad of lads on the trip with various emotional issues and states of PTSD. The trip for them enabled a huge leap forward in their recovery and general wellbeing. I have been trained on many courses while serving. These have included, Crisis Response Negotiation, Physiological and Exploitation Specialisations, not to mention 18 years service and plenty of time with injured soldiers on all levels. I mention this so you do not take what I say as purely, “A lad who is thankful to have been on such a trip” but a combination including my views on how effective it was for all us guys. There obviously needs to be a big thank you to all the organisers, fundraisers and supporters who’s generosity enabled the adventure. It is very difficult to explain the depth of their achievement in bringing injured, vulnerable lads to a dream location and one off experience, particularly on a therapeutic level. The lads together hit a “Zone” all sharing stories, tales of injuries, lost comrades, there own struggles, family issues, friend issues, welfare, medical, you mention it. As one told their story or shared problems others grew the strength to tell theirs and this became infectious in a good way. The “Zone” was an open and safe one. After all the confidentiality was a given, “What happens in Vegas stays in Vegas!” I know for a fact that many lads moved further down the recovery line than weeks or even months on a psychologist couch. 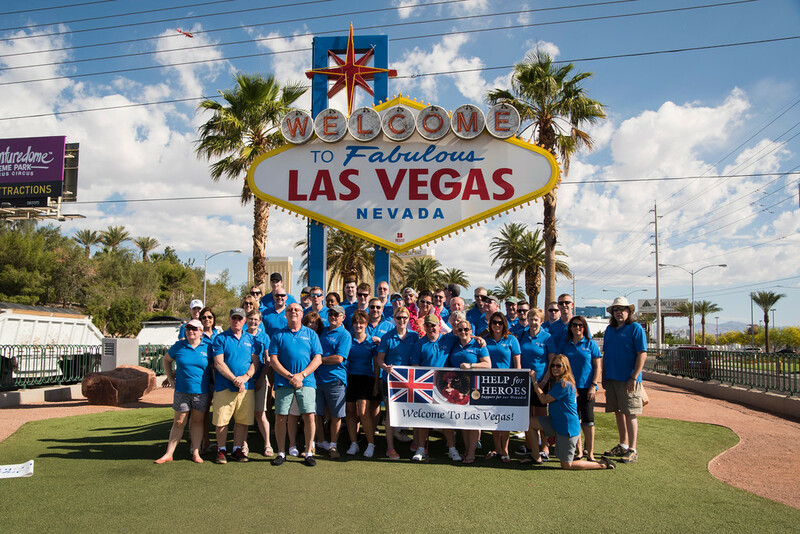 All who had any part to play in making Vegas 14 become a reality should feel proud and I’m honoured to have been amongst such people, both the injured soldiers and our supporters alike. So once again thank you for an amazing and fulfilling trip, after all, “Its Vegas baby” whatever way you look at it! In partnership with Venture Co the ride consisting of 6 injured service personnel and 6 self funded able bodied riders who rode through the battlefields of the Shekhawati Brigade in Rajasthan. Certainly a challenging adventure! I’ll set the scene. 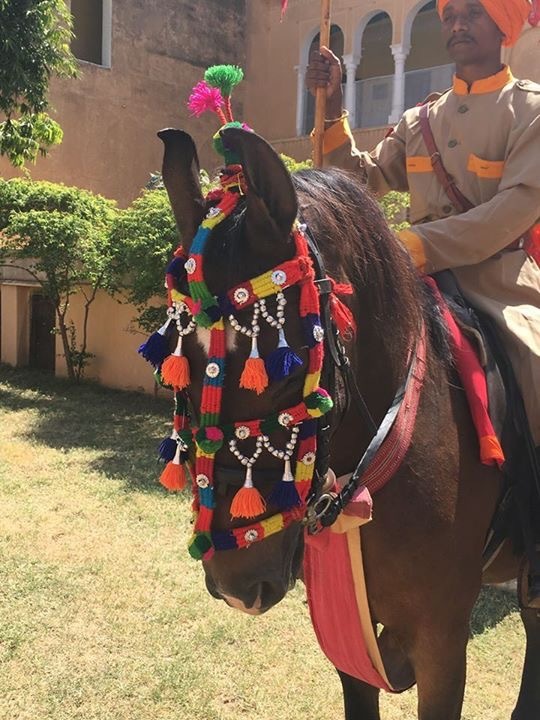 I’m inches from the horse in front, whose thundering hooves transport me to the days of the Rajput warriors galloping into battle, far from the chaos of Rajasthan’s busy cities and even that of central London. 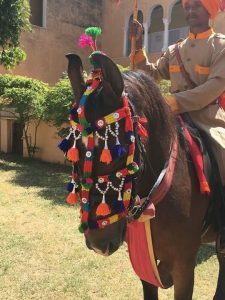 Our horses, the spirited and majestic breed of the Marwari with its distinctive lyre-shaped ears. Their polished tack, their martingales and saddlecloths are great sashes of red, denoting religion, and saffron, the colour of courage and sacrifice in battle but also, this image could not be complete without our guide and leader, Kanwar Raghuvendra Singh, a descendant of the Rajput Ruler Kesari Singh and better known as ‘Bonnie’, is dressed in the full uniform of the Indian Cavalry. With his maroon beret, good looks and manicured moustache, he looks as if he’s straight from a film set. 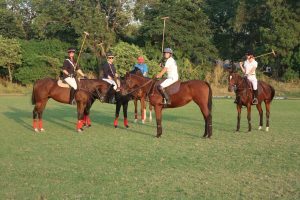 Tucked away off a dusty track in the family seat of Dundlod is the Royal Equestrian and Polo Centre, one of the largest breeding centres of Marwari horses in India and it was Bonnie’s determination to save the Marwari horses from extinction and to keep the 1750 family fort at Dundlod going. It was to be here that H4H Team Phoenix would spend a couple of days acclimatising to the heat and to pair up with their horses for the next 7 days. Our trek was to retrace the footsteps of the Shekhawati Brigade, one of the British Raj’s most charismatic and agile Cavalry Regiments. So what was this trip all about? 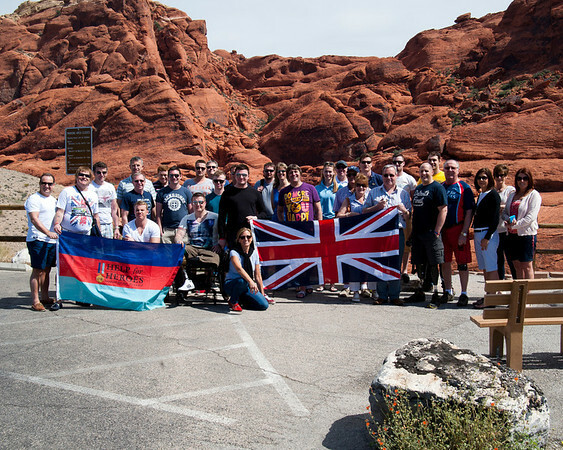 Our group was made up from six fully fit riders and six injured servicemen and women. We were put forward by Help for Heroes to take part in Heroes Ride 4 Recovery organised and funded by Polo for Heroes with the experience of the ride contributing to both physical and mental recovery. The challenge was to ride the Trail of some 250km in 7 days, camping overnight, with temperatures in excess of 35 degrees and with horses that were unfaltering, true warriors that weaved through rows of millet, unfazed by the numerous obstacles in their paths. We rode through villages avoiding roaming cows and women laden with large piles of wood often stopping at the plentiful water troughs for the horses to drink and cool down. School children could be found squealing with delight, rushing to meet us and the horses, waving with enthusiasm, consumed with curiosity. When the sun was high in the sky and temperatures at their peak, the group demonstrated their skills in looking like Lawrence of Arabia in order to avoid burning. At this point in the day, we would often stop for lunch and at the selected destination, would find a whole support team awaiting our arrival. There were grooms for the horses, who were un tacked, brushed down and taken to rest in the shade, and an elaborate picnic for us. Tables were laden with a variety of dishes: curries, paneer, dal, a selection of breads and chutneys, all made fresh that morning in camp. The afternoon usually consisted of us picking up the pace to ensure we arrived at our next camp site before dusk. We galloped between crops, startling chickens, and having to avoid the odd makeshift dwelling or swerving at the last minute to miss the man napping on a bed, taking a break from gathering his crops and tending to his flocks. We experienced India in its most beautiful yet primitive form. Historically, Rajisthan is one of India’s richest regions littered with magnificent forts and palaces that were once home, and in many cases still are, to royal princes. Throughout our trek, we were privileged enough to visit some of these havelis, one being particularly worthy of note. We set off early one morning and after a few hours in the saddle, on the horizon we could see the turrets of Alsisar, our destination for the night. As we approached, it looked even more imposing, raised high above the town. The road to the fort was cobbled, and we felt as though we had swept back in history as we passed the main gates and clattered up the steep ramp into the courtyard. We received the most regal of welcomes with offerings of rose water, magnolia garlands and bindi. Our opportunity to rest and recharge was further enhanced by the delightfully airy and spacious rooms, the power shower and most importantly of all, a swimming pool complete with poolside bar tender. A delight of the highest order. Throughout our trek, we rode over a wide variety of terrain, including not only desert but farmlands, rocky gorges, acacia forests, jungle scrub and fertile hills. Our final leg of the trek took us high into the mountains. So high in fact that we had to leave the horses behind at the campsite and proceed up through the clouds by Jeep. In fact one of the jeeps couldn’t make it up the steep incline and so those who were able to, did it on foot (and one by piggy back). 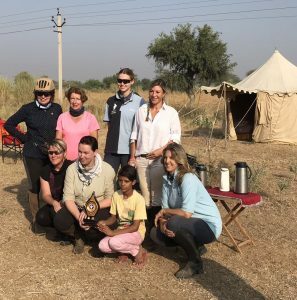 On our final morning, we packed up our kit and said good bye and thank you to our noble steeds and boarded the transport that would take us on the 4 hour journey back to Jaipur. 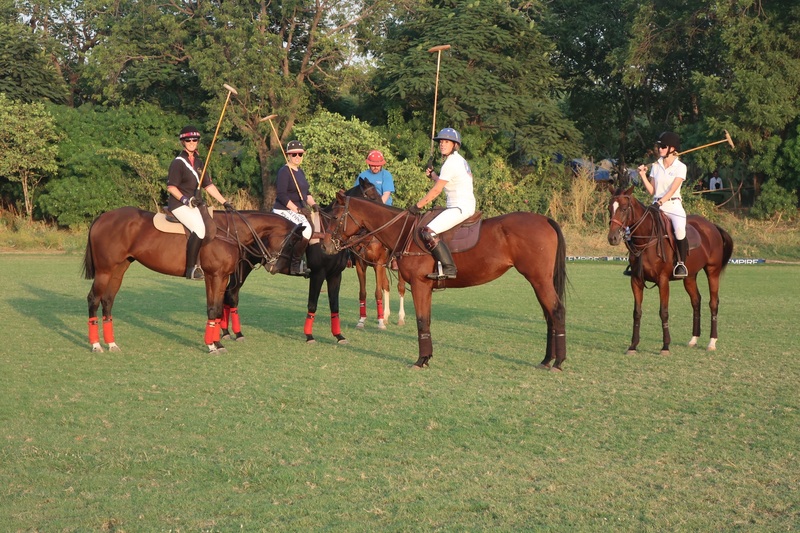 We were incredibly honored that our Guide, Bonnie had arranged for a friendly match to be played amongst ourselves as well as the use of their ponies for an hour on the hallowed grounds of the world famous Rajasthan Polo Club. It is known, throughout the World as a centre of excellence in Polo. 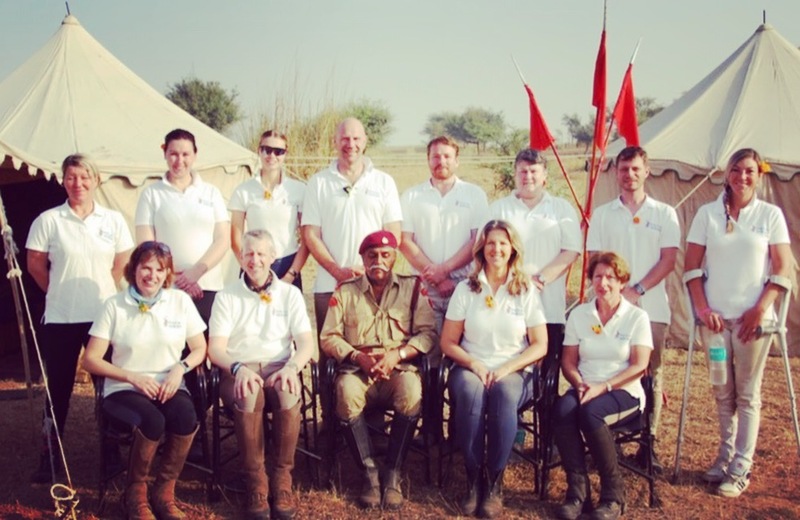 A once in a life time opportunity for the H4H Team Phoenix to boast of their experience on that very polo field and to play for the inaugural Polo for Heroes trophy. Earlier in the trip, we met this wonderfully gifted little girl who visited our campsite and brought offerings of marigolds and other precious flowers. This little girl was in awe of us and felt compelled to run home and bring us a trophy which she had received from her school for excellence in mathematics. She told us she was very proud of winning this trophy but wanted us to have it as a gift from her to us. The team felt it right that we have a picture with her and the trophy and that the winners of the match would be the recipients of the ‘Sultana Trophy’ . This will now be a perpetual trophy to be won at the Polo for Heroes Charity match. I think that the Team will agree that the trophy holds some very dear and humble memories. Post match, we were welcomed into the perfectly air conditioned Clubhouse. The clubhouse is a veritable hall of fame. There are photos of Heads of State and Royalty from all over the world, from John F Kennedy and Jackie Onassis to Diana, Princess of Wales not to mention the sizable solid silver trophies that adorn the cabinets around the room. A swift wash and brush up ready to dine at the exclusive Ashok Club. It is one of those institutions only a few of which are still around today. Now, a private members club with old world charm defining the culture of the wonderful city, Jaipur but formally the Officers Mess of The Sawai ManGuards. The “Sawai Man Guards” was re-affiliated with the Rajputana Rifle Regiment and is the only pure Rajput Battalion in the Indian Army. It now known today as 17th Battalion of Rajputana Rifles (Sawai Man). A delightful soiree of canapes and drinks commenced with a presentation from Bonnie on his enduring work establishing the Marwari breed internationally. The winners of the polo match earlier in the day were presented with the trophy and memories recalled over a G&T (hold the ice!). Fond farewells and thank you’s were exchanged to then retire to our accommodation for the early flight back to the UK. We were a mixed bag in terms of riding experience, some who played polo, some who event and showjump and some who, until that point, had never had any interest in horses or riding! But every one of us came with one common denominator, to overcome our own personal hurdles, to free the mind and to push ourselves outside of the comfort zone. There are many stories that could be told and even more photographs to share but the best ones are the personal memories that we took away with us and that will stay with us for a life time. 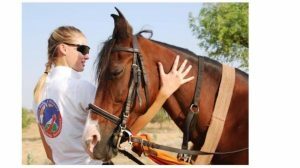 The therapeutic power of horses should never be underestimated, we experienced real horse power in every sense of the word. 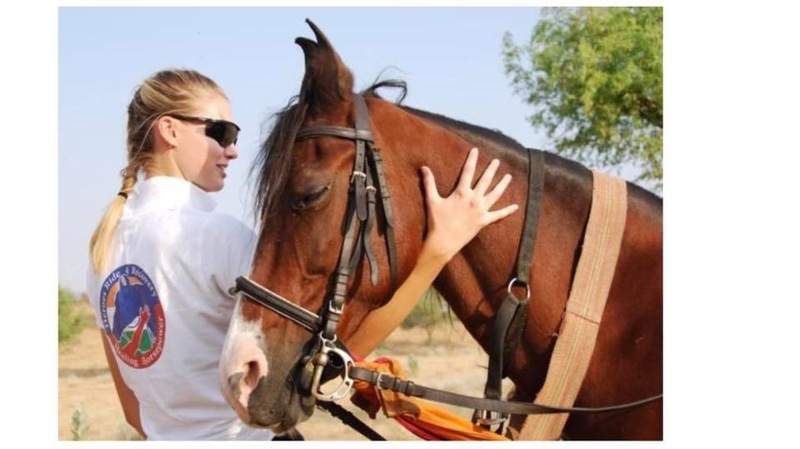 “Being given the opportunity to ride in North India, on an arduous horse safari, combined with the most exceptional hosting and hospitality where I could move through the country, without the use of crutches, while being able to look around me and take in all the culture that Rajasthan had to offer was truly liberating. Not only has this trip proved that physical limitations can be minimised, but it’s helped my emotional and mental health recovery too”. 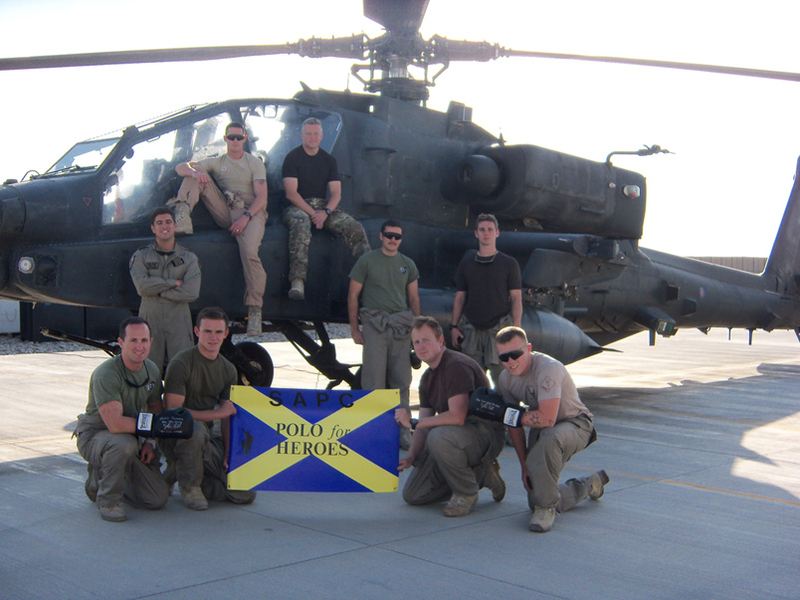 Having the opportunity to spend time with our Heroes was an honour and a privilege for all involved. Sharing experiences with them truly reinforced the reasons why we organise the event. Knowing that it made a difference to their lives goes some way to thanking them for their service. Now back to Polo for Heroes at Fifield Polo Club, Windsor. 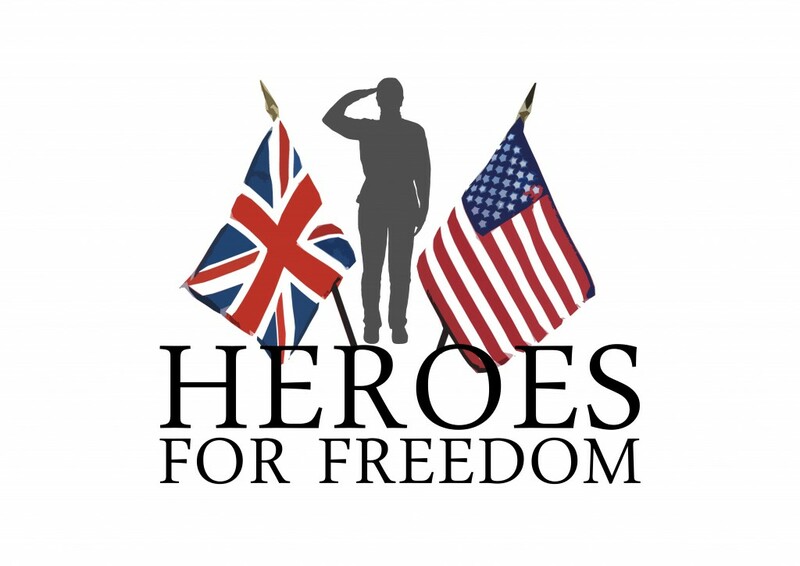 We are continuing to support Help for Heroes and all the proceeds from the raffle will go directly to them along with a donation. An equal donation will also be made to The Irish Guards Appeal Fund and we will continue to raise funds for more R&R trips for our injured troops.